1,000 in 20 – Stars aligned on Saturday, June 2, 2018, at the People’s Hall of SM Aura Premier when LoveYourself welcomed Batch Upendo, a cluster of 56 new recruits in the HIV and AIDS awareness advocacy. With the orientation of these extraordinary individuals, Batch Upendo has etched its mark in LoveYourself history as it became its 20th batch of volunteers. On top of that, 56 was the just the right number to push LoveYourself’s roster of advocates beyond the one thousand mark. With this milestone, LoveYourself positions itself in the frontline in the battle against HIV. 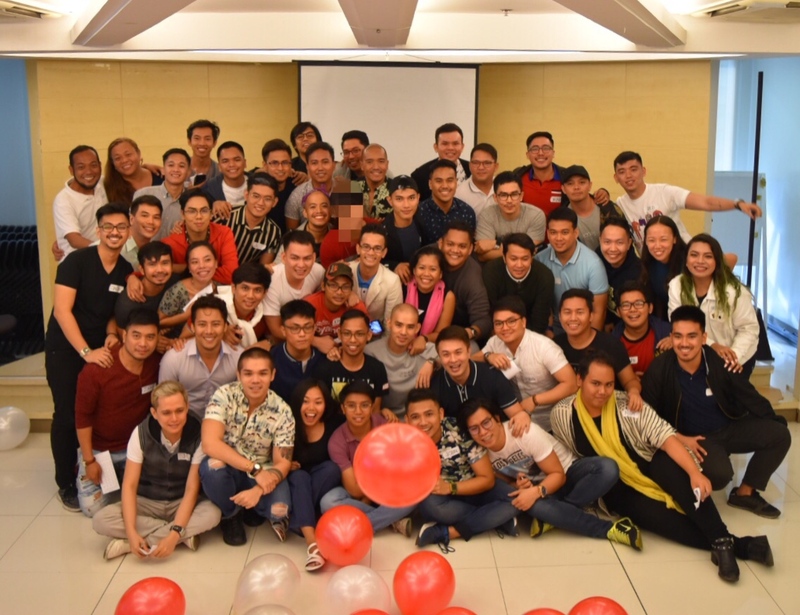 Staying true to its commitment to the community, the organization continues to provide a safe space for anyone who wishes to be enlightened on HIV, its transmission and prevention, and on how to thwart the stigma it entails. Marvin Frondoza, a volunteer HIV counselor, headed the batch orientation that welcomed the promising HIV advocates. The orientation served as their stepping stone in the advocacy and their coming out as new warriors against the virus. With over 1,000 LoveYourself members, one would think it’s an arduous task to keep such a diverse group intact. The secret? It’s the amity and solidarity formed within each of the 20 batches, which eventually transcended to the organization as a whole. While it might not be the best idea to create division through batches, embracing differences within a small group would empower individual members to be able to yield and accept diversity in a larger scale. Batch Upendo is no exemption to this 6-year tradition of LoveYourself. Branding a batch with a name and pairing it up with a distinct insignia builds a sense of unity as new volunteers begin their venture in the advocacy. Staying true to this year’s theme of “love across the globe”, LoveYourself’s core group selected a word from Swahili, one of vast languages of the eastern Africans. Upendo, the term that was chosen is the Swahili translation of “love”. It is an old belief that love is a universal term that defies definition. It is an understandable language that does not necessarily warrant words and it is more felt than said. In essence, it is the love of the volunteers that keeps LoveYourself going strong in its 6th year of service to the community. It is in love to and for the community that LoveYourself envisions itself to continue being a safe space in the years to come. From the Swahili roots blossomed the inspiration of Rick James “TJ” Monzon, the creator of the logo for Batch Upendo. The emblem shows a brown circle enclosing a young giraffe in a sitting position. Its border is adorned with leaves that are embellished with African-enthused patterns. The color theme of the logo, on the other hand, is a representation of the parched lands of Africa where predators easily hide themselves in shrivelled grass and dried soil. The giraffe was chosen as the spirit animal of Batch Upendo for its height, and compassion. It has long been considered that giraffes are one of the worst mothers in the animal planet, but latest discoveries have shown that the when a young calf dies, its mother, along with other female giraffes in the tower, protect the carcass days after death. In this day and age, giraffes can teach us a thing or two on how a heightened sense of compassion for others is what is needed in our community. Digging deeper in the essence of the logo, TJ quips that love is also represented in the logo. It can be noted that despite the sweltering heat and danger lurking behind bushes, there is one thing that’s common in the African faunas: the instinct to form groups, like the giraffe. This natural proclivity of forming flocks and packs is planted on the fact that there is a better chance of survival if they stick together. Alongside the growing numbers of HIV cases is the increase of the numbers of hearts and minds that converge to combat HIV and AIDS. LoveYourself continues to be a community of volunteers that aims to not just create ripples, but to be the ripples that nurture the value of loving one’s self as a way to multiply joy in the community. Feeling inspired? Join us in the advocacy by clicking here. Gello is an infection control nurse who is utterly useless before his 2nd cup of coffee. Unbeknownst to most, he’s a closeted otaku and has a deep obsession with eggs. Despite being 30, he still secretly waits for the owl that will finally deliver his acceptance letter at Hogwarts.